Our technicians are trained directly by the manufacturer and can repair all makes and models of vacuum cleaners. Family Owned. Serving you for over 10 years. Sara's Vac Shack offers service & repair for every product we sell, and is an authorized warranty center for over twenty brands. Unlike our competitors, Lloyd and his staff personally handle every product and are able to repair and refurbish vacuums from the bottom up. Each technician is trained directly by the manufacturer and only uses genuine factory parts for all repairs. The technicians at Sara's Vac Shack are capable of restoring all makes and models of vacuum cleaners, carpet shampooers, and more. We even give customers a free loaner to use while your product is being fixed. 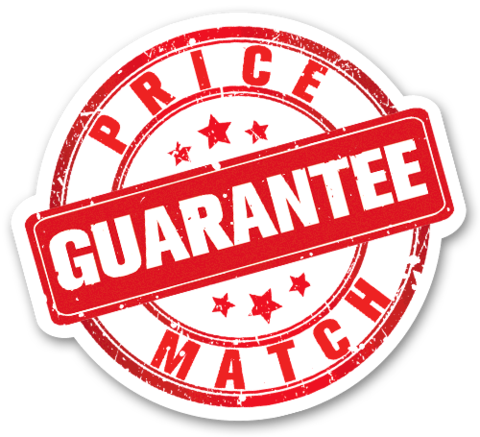 SARA'S VAC SHACK OFFERS A PRICE MATCH GUARANTEE! If you find your vacuum cheaper from a licensed dealer, we'll match that price no questions asked! How does Miele's warranty work? What does it cover? The housing and motors on all of Miele's upright and canister vacuums are guaranteed for seven years. The exception to this is the Miele Complete C3 Brilliant, which is backed by a ten-year warranty. All of Miele's attachments are backed by a one-year warranty, and canister hoses are guaranteed for two years. For more information, please see this blog post. Where can I find bags and parts for my Miele vacuum? You can find Miele vacuum bags in our store. We also offer a range of replacement brushrolls, cord winders, and other various parts for all of Miele's upright and canister vacuum cleaners, which may require a special order. To check the availability of replacement parts, we ask that you call our us at (800) 220-0024 so we can help you find the proper parts. Do the accessories store on board? Models in the C3 series offer built-in storage for their included crevice tools, dusting brushes, and upholstery tools. C1 and C2 series models frequently include Miele's detachable VarioClip, which can be mounted on the canister hose for easy access during cleaning. For more information about the Miele products or any others we carry, or to place an order over the phone, please call (800) 220-0024. Don't Stress! Ask the Experts! We are the Northland's Vacuum Experts! You will not find a better place, but if you do we will gladly match it! We offer an extended warranty when you purchase your vacuum from us.. Something online companies cannot and will not offer. Free yearly 20-point inspection for the life of ownership. We inspect your vacuum from cord to nozzle. When you buy your vacuum from us, you can use our commercial carpet cleaner once a year for FREE! If the vacuum you purchased from us is in for repair or service, we will offer you a FREE loaner vacuum. 5 SIGNS THAT YOUR VACUUM IS IN NEED OF SERVICE! No power to the vacuum or it keeps cutting out. This could be something as simple as a fuse or loose connection or it could be that the vacuum is overheating causing it to cut out. Loss of suction that does not improve following routine maintenance. Vacuum is louder than normal or making a strange noise, rattle or vibration. Listen to your vacuum cleaner for any noise that is out of the ordinary, which could suggest issues such as bent fan blades or worn bearings. Smells coming from the vacuum even after changing the bag/ filter, particularly burning smells could suggest mechanical or electrical issues that need attention. Vacuum is getting excessively hot (more than normal). May be accompanied by burning smells and again this can be a symptom of motor overheating, which can be caused by a number of things.